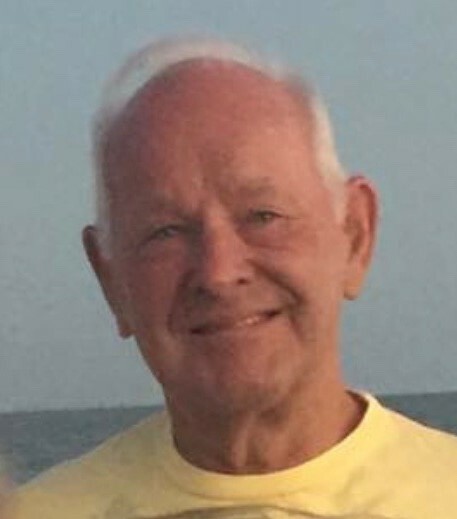 Obituary for Howard D. Washburn | Hartzler-Gutermuth-Inman Funeral Home Inc.
Howard D. Washburn, 81, of Elkhart passed away at home surrounded by his loving family and friends on Tuesday, August 28, 2018. Howard was born in Ft. Wayne, IN to the late E. Howard and Ruby (Hoffer) Washburn on August 23, 1937. Also preceding him in death was a sister, Shirley Campbell. On May 25, 1974 in Evansville, IN he married Cynthia K. Cecil. She survives along with sons, Terry (Deb) Washburn of Bristol and Ronald (Tina Moran) Washburn of Elkhart, daughters Kristina (David) Warren of Springfield, IL and Vickie (Doyle) Holden of Goshen, ten grandchildren, nine great-grandchildren and a brother Leslie (Ann) Washburn of Pine Island, FL. Howard graduated from Goshen High School and then enlisted in the US Navy serving as a submariner in Norfolk, VA. Howard was the owner of Aqua Pools in Elkhart for over forty years. He enjoyed bowling, golf and coached women’s softball for 20 years, winning 3 state championships. Howard also loved fishing, camping and spending time with his grandchildren, family and friends. Visitation will be held at Hartzler-Gutermuth-Inman Funeral Home on Tuesday, September 4, 2018 2:00-4:00 PM and 6:00-8:00 PM. Services will be Wednesday, September 5, 2018 at 10:00 AM at the Hartzler-Gutermuth-Inman Funeral Home. The Rev. Chris Russell will officiate. Burial will be in Prairie Street Cemetery where military honors will be rendered by representatives of the US Navy and DAV Chapter 19. In lieu of flowers donations can be made to Center for Hospice Care, 22579 Old US 20, Elkhart, IN 46516 and American Heart Association, Greater Midwest Affiliate, 3816 Paysphere Circle, Chicago, IL 60674.